The raw material of our duvet �C pure and natural silk, is a protein fiber harvested from the cocoon of the silkworms, which feed on clean, nutritious and insecticide-free mulberry leaves. Our mulberry plantation is located in the east coast , the largest and most abundant one in China. At about 35 days old, the silkworms become 10,000 times heavier in weight and 500 times bigger in size. They start to spit a mile long filament which is smooth, supple, lustrous and strong, enclosing itself in a cocoon. Among thousands and millions of cocoons, the best quality ones are carefully selected to serve as the raw material of our duvets. 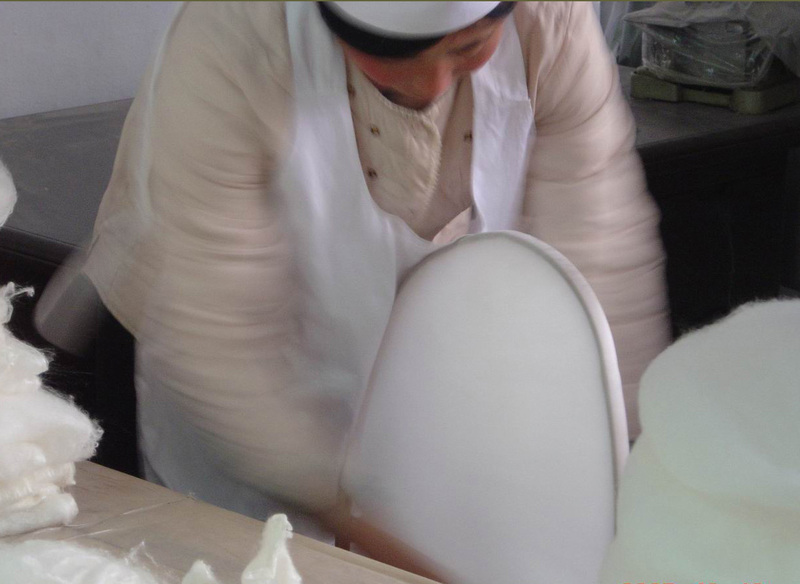 The cocoons are then cleaned in pure underground water, steamed and submerged in boiling water to soften, and one by one, stretched by hand evenly and carefully to form large sheets of silk. Hundreds of such silk sheets are hand layered together, and finally form the soft, light and warm silk battings which will not bunch or shift. It takes about 6000 best quality cocoons to make a king size duvet. This is the process coming down from hundreds of years ago. No bleach, no machines, no chemical additives, we strongly believe that a 100% natural hand-made comforter will give you the luxury and sweet sleep that everyone is dreaming about.